In patients with obstructive jaundice, when the endoscopic approach fails to achieve biliary drainage, percutaneous cannulation and combined endoscopic/percutaneous endoprosthesis insertion can be performed simultaneously or in stages. This study compared these two approaches. Endoscopic retrograde biliary drainage (ERBD) and percutaneous transhepatic biliary drainage (PTBD) are the two main non-surgical treatment options for obstructive jaundice in patients with HCC. ERBD is usually the first-line treatment because of its low hemorrhage risk. Mean stent patency time and mean survival range from 1.0 to 15.9 and 2.8 to 12.3 months, respectively. The dominant effect of biliary drainage suggests that successful jaundice therapy could enhance anti-cancer treatment by increasing life expectancy, decreasing mortality, or both. We present an overview of the efficacy of endoscopic and percutaneous drainage for obstructive jaundice in patients with HCC who are not candidates for surgical resection and summarize the current indications and outcomes of reported clinical use. Kolev NY, Ignatov VL, Tonev AY, Zlatarov AK, Encheva EP, Kirilova TN, Bojkov VM, Ivanov KD. BILIARY DRAINAGE. J of IMAB. 2013 Jul-Dec;19(3):465-469. 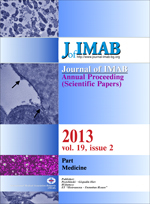 DOI: 10.5272/jimab.2013193.465. 43. Ducreux M, Liguory C, Lefebvre JF, Ink O, Choury A, Fritsch J, et al. Managementof malignant hilar biliary obstruction byendoscopy. Results and prognostic factors. Dig Dis Sci. 1992 May;37(5):778–783. [PubMed].